Ghana midfielder Jordan Ayew will spend the second half of the season on loan at Sochaux from Marseille after completing the move on Monday. The two French Ligue 1 clubs had agreed a deal last week. 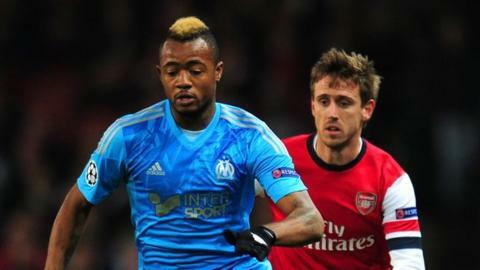 The 22-year-old Ayew has played 111 times for Marseille and scored 14 goals since his 2009 debut. But he has struggled to command a starting place this season and has moved to help secure a spot in Ghana's squad for the World Cup in Brazil. Although he has played in 21 games in this campaign, and scored twice, many of those appearances were as substitute. Jordan Ayew, younger brother of fellow Marseille star Andre and son of Ghana great Abedi Pele, has 10 caps and two goals for the Black Stars. But to add to them he will need to shine in a Sochaux side who are languishing second from bottom in Ligue 1, six points from safety.